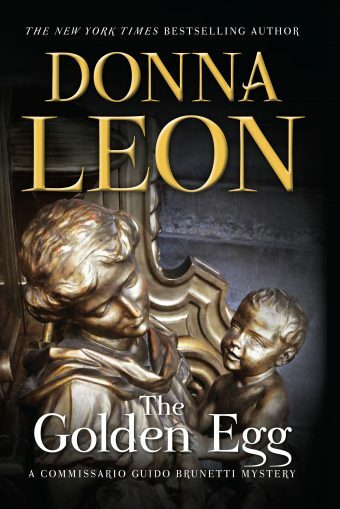 In the twenty-second book of this beloved, best-selling series, Commissario Guido Brunetti investigates the death of a mentally handicapped man, and suspects that his life might not be what it seems. 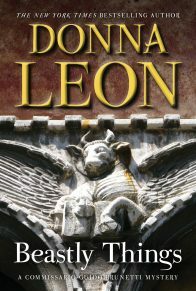 Donna Leon’s novels starring the sharp and humane Venetian Commissario Guido Brunetti have won legions of fans and are bestsellers around the world. In The Golden Egg, when Brunetti’s wife Paola asks him to look into the death of the handicapped man who worked at their local dry cleaner, Brunetti is surprised to find nothing on the man in the official records: no birth certificate, no driver’s license, no credit cards. As far as the Italian government is concerned, he never existed. And yet, there is the body. 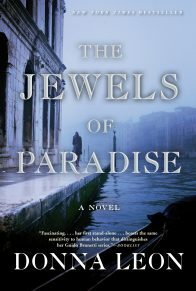 As secrets unravel, Brunetti suspects an aristocratic family might be connected to the case. But why would anyone want this sweet, simpleminded man dead? 1. “If the Brunettis had a religion . . . it was language” (p. 2). Why does the family speak Italian rather than Veneziano at home? What does this choice signal about their social class and aspirations? How does each member manage to learn the dialect, and why is it important that they are fluent in both? 2. Why does Vice-Questore Patta turn to Brunetti to neutralize the mayor’s potential political liability? What assumptions does he make about Brunetti as an employee and as a Venetian? 3. When Brunetti and Paola first learn of Davide Cavanella’s death, how much do they know, and how much do they assume, about this “boy”? Why do they both seem to be particularly bothered by the thought that Cavanella was mostly unknown and barely noticed? 4. What does the pathologist Dr. Rizzardi mean when he tells Brunetti that Cavanella “doesn’t exist” (p. 50)? How does Brunetti try to officially prove Cavanella’s “existence,” and why does he fail? 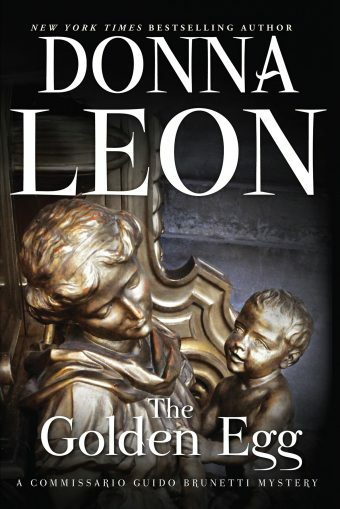 To what extent does Brunetti’s growing determination to find out more about Cavanella’s death—at the outset an unofficial investigation that falls outside of his regular duties—have to do with his unease at this unusual anonymity in a tightly-knit and highly bureaucratic Venice? 5. 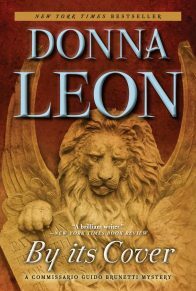 What favor does Brunetti ask of Vianello, and why is he turning to his trusted associate for help? Why does Vianello hesitate, and what is his ultimate response? Is Brunetti crossing a line with his request? 6. How does Pucetti gain Signora Cavanella’s trust, first at her home and then at the hospital? 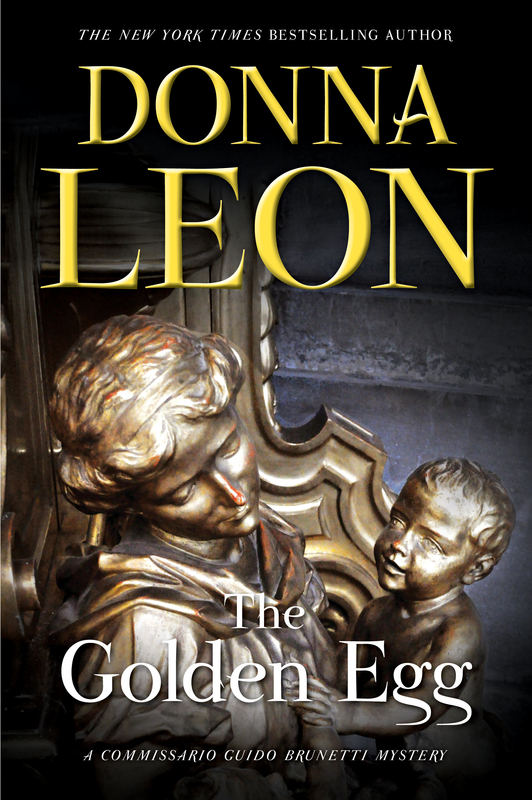 Why is Brunetti both impressed and uneasy with the young officer’s demeanor? How does his behavior compare to the way Commissario Griffoni later behaves with Signora Lembo and then Signora Ghezzi? 7. Why does Brunetti call on Ana Cavanella’s doctor? What is the doctor’s opinion of his patient? What crucial pieces of information does Brunetti discover about the deceased Davide Cavanella during his brief visit? 8. “Is human life defined by contact with other people?” Brunetti wonders as he tries to piece together Davide’s life (p. 179). What do you think? Do you believe that Davide’s life was as miserable and lonely as Brunetti assumes? Why or why not? 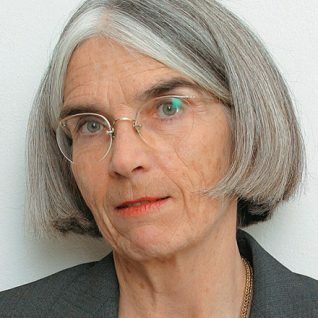 9 What position does Commissario Claudia Griffoni occupy in the highly political ecosystem of the Questura, and why? Who are her allies and enemies? 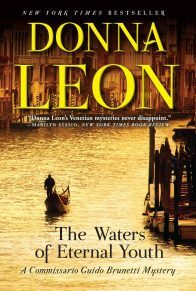 What is Brunetti’s opinion of her and does it change as she begins helping him with his investigation? 10. When Claudia Griffoni and Brunetti try to question Ana Cavanella’s neighbors, they run into wall after wall of silence. Why are people reluctant to speak with them? How does Brunetti finally extract some information from the locals? 11. What is the state of the Lembo palazzo and its mistress when Griffoni and Brunetti arrive to see Lucrezia Lembo? Are they an effective team when they try to question her? 12. Griffoni observes to Brunetti that Italians’ persistent focus on “differences of dialect and food and custom” are a distraction; “in the end, we’re all the same: beaten down by this system that is never going to change” (p. 223). How does Brunetti’s behavior in his pursuit of both Patta’s request to help solve the mayor’s “problem” and Paola’s request to look into the seemingly accidental death of a barely noticed local either support or contradict this position? 13. What is Signora Ghezzi’s opinion of her former employer, Signora Lembo? 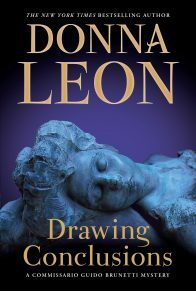 What are her opinions of Lucrezia Lembo and Ana Cavanella, and why do these surprise both Brunetti and Griffoni? 14. Who is Avvocato Cresti, and what is his reputation at the Questura? How is he associated with Ana Cavanella? 15. What does Lucrezia Lembo reveal about her relationship to Davide Cavanalla? What had been Ana Cavanella’s calculation when speaking with Cresti, and why is it now for naught?